From a technology standpoint, 2017 is likely to be the year when we get really close to our “all-digital” dreams: smart homes, self-driving cars, VR headsets, drones optimised for flying indoors and diving underwater – the list is endless. Given cutting-edge technologies are being launched at an ever-increasing rate, conventional retail display solutions may seem as obsolete as the payphone. However, traditional point of sale displays still deliver marketing benefits that you can use to support your business growth strategy for 2017 and beyond. Over the past few years, digital retail signage has generated a lot of interest among brick-and-mortar retailers. And for good reasons. After all, the right mix of retail display and signage solutions can help physical shops attract more customers, meet demands for a superior shopping experience, and increase their sales. If you’re looking for ways to deliver the best customer journey in your store, point of purchase display products, like DisplayMode’s end-of-arm Reflex graphic holders should definitely become part of your strategy. Here are seven ways you can use these tools to bring unexpected diversity, versatility and “static interactivity” into your retail space. 1. Advertising promotional products and new arrivals. In-store display solutions like end-of-arm graphic holders are some of the best “silent salespersons” you could hire. Typically used to point out current promotions, new stock and branded products, end-of-arm signs can do half of the selling by helping your customers efficiently navigate your shop. And since most modern customers want to have their space and prefer to browse through merchandise on their own - just like they do online - end-of-arm graphic holders enable you to offer your shoppers exactly what they want. 2. Creating an inviting ambience. There are many industry examples that show what excellent design and colour coordination can do in a retail space. By using clear plastic label holders like our end-of-arm graphic display products, you can display different tags, images and labels designed to fit your shop’s colour palette. This will enable you to create a more cohesive, harmonious colour and design flow that generates an inviting and soothing in-store ambience. Providing a strong sense of continuity throughout your shop is extremely important. Why? Well, imagine yourself entering your seventh shop today. You’re tired, and the last thing you want to see is another bunch of colours, products and confusing labels that you need to check in order to make the best buying decisions. It’s no wonder you feel confused, annoyed, and impatient. Probably, you just want to go home without purchasing anything. Based on this scenario - and so many bad examples across the retail industry - we can draw one conclusion: using a wide variety of colours in a brick-and-mortar shop can convey too many messages and feelings at once, confusing shoppers. On the other hand, using the right colours, in the right proportions delivers a sure-fire way to create an inviting ambience that can persuade your customers to spend more time in your shop, purchase more products and even recommend your business to others. 3. Making your offers clearer. Recent research has indicated that retailers have only a few seconds to capture the attention of customers. 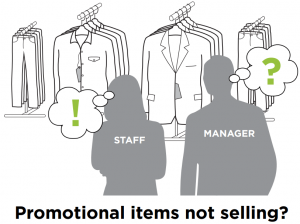 This means that you need to engage potential shoppers the moment they enter your store. Using end-of-arm signs, you can place valuable information like promotions and sale events directly in front of your customers. Also, end-of-arm products deliver a simple and practical way to divide your retail space, making your store layout more efficient. 4. Providing relevant information instantly. As a continuation of the previous point, you can effectively communicate with your customers the second they set foot in your shop by using quality signage that provides the information they’re looking for. 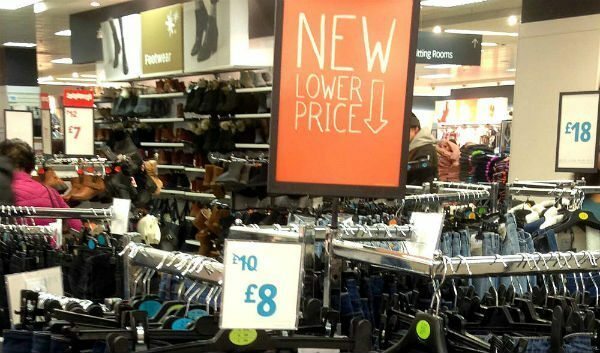 But when it comes to retail, the old saying that a picture’s worth a thousand words certainly remains truer than ever. 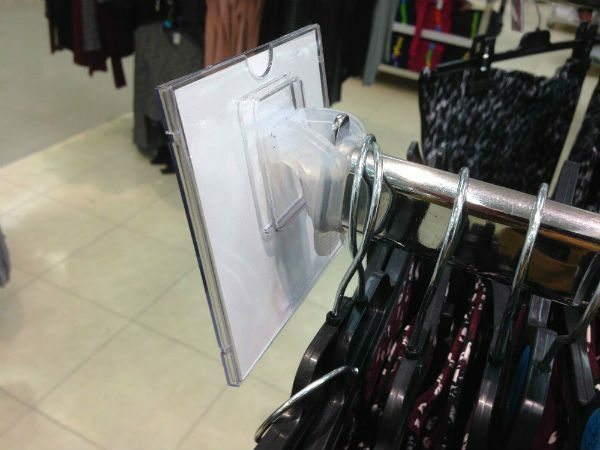 For instance, inserting an image of a garment into an end-of-arm graphic holder is perhaps the simplest way to showcase that item and encourage shoppers to visualise themselves wearing it. End-of-arm graphic holders can also be used to turn ordinary products into “hidden gems”, slowdown in-store traffic flow and get customers to stop at certain displays. Effective and persuasive messaging or images can create a higher perceived value for a product, which will increase your retail sales. According to our data, high-quality end-of-arm products like our “reflex” graphic holders can increase in-store sales by 25 percent. 6. Making the most of your investment. To make the most of the signage solutions you use throughout your shop, you need to place them in appropriate locations. But what does “appropriate location” actually mean? In a nutshell, signs must be positioned where they’re clearly visible. The Reflex graphic holders are exactly at the point of purchase, where customers make the decision to buy products. Consequently, end-of-arm holders deliver some great marketing tools for boosting conversion rates and sales. 7. Offering a better shopping experience. The Flexible Reflex end-of-arm graphic holder. A simple and flexible solution. A great thing about end-of-arm graphic holders is that you don’t need to worry about losing track of signs when moving existing displays around your shop. Delivering excellent flexibility, these holders allow you to rearrange your retail space as needed to offer your customers the shopping experience they deserve. As in-store signs evolve to offer better shopping experiences, store managers and owners face new challenges. To find the right signage combinations for their shops, they need to evaluate an increasing range of solutions. 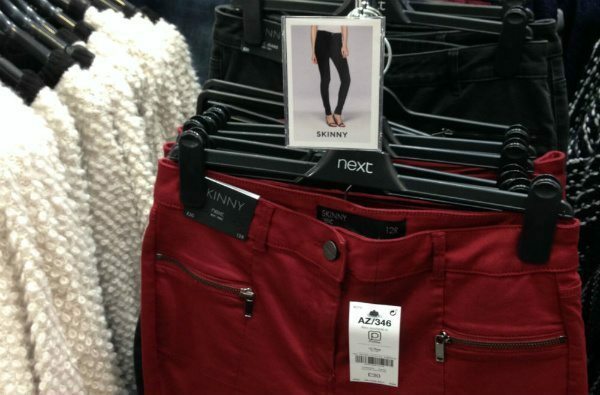 However, one thing is for sure: they cannot afford to ignore conventional retail display products. At DisplayMode, we understand that quality signage is an essential part of any retail marketing strategy. For this reason, we make available a wide range of patented easy-to-install, adjustable, flexible yet solid and durable retail display solutions that are eye-catching and can help you stand out from the competition. To find out what our experienced professionals can do for your shop and customers, please feel free to contact us today at +44-(0)-1536-460805 or email contact@displaymode.co.uk. Watch the video for this Flexible end-of-arm graphic holder. Fits 98% of arm ends. Order your FREE sample box and discover this unique and patented solution.